A last day before flying home. Quinton noticed this statue. There was no art and little of architectural significance even in San Jose and then we almost walked by this lovely lady. There was absolutely no explanation for her presence. We walked the full prominade. I felt safe the whole time. I don't have pictures because the camera made me look like a tourist so I kept it in my pack. Although there were tons of people, they were Costa Ricans, not tourists, so we already stood out in the crowd. The streets were lined with tons of shops selling shoes, socks (?! ), inexpensive clothing. I found a fabric store! It was a combination of an underwear (both men and women) and fabric. Interesting combination. I never found the section of town, if it even existed, for gucci and prada. Clothing seemed more of a practical rather than a style matter. 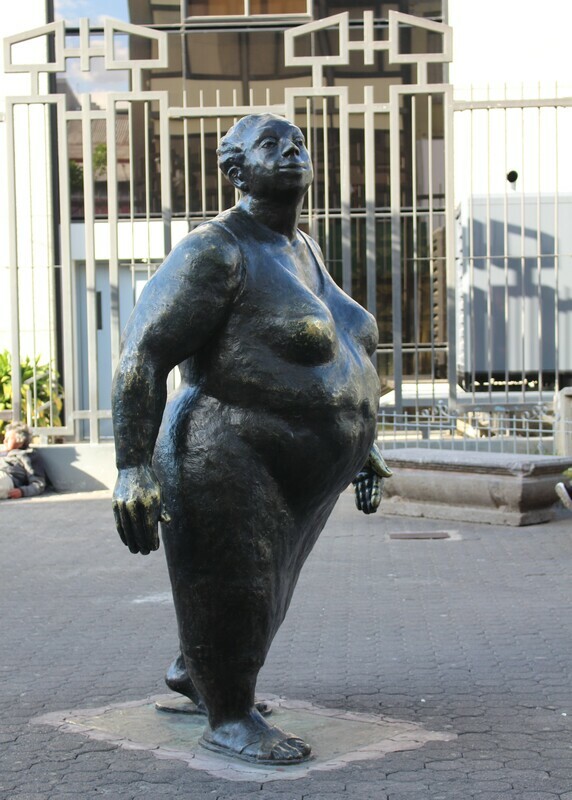 For sure, the statue is not representative of how the Costa Ricans looked. 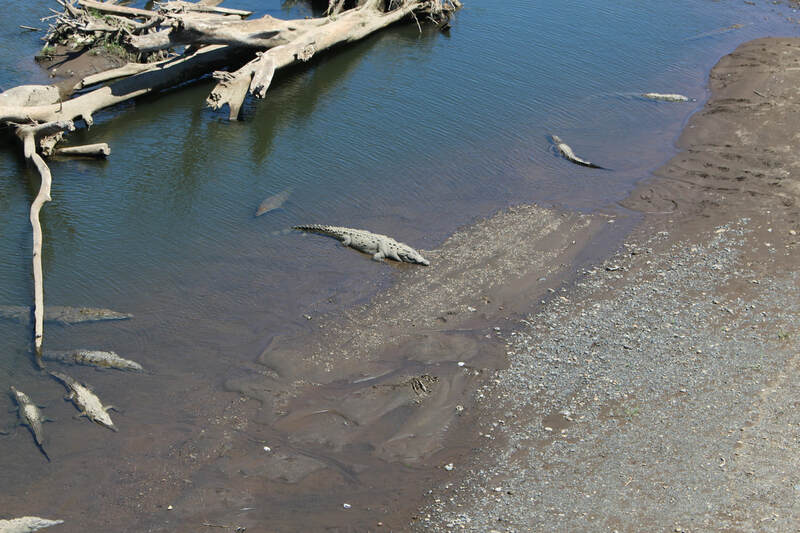 I had read about this river on the road near Jaco that was famous for its crocodiles. I guess they don't let their kids swim here. Quinton took this shot out the window of the bus, which wasn't permitted to stop. Whether to leave the crocodiles alone or for our safety, I'm not sure. How many crocodiles do you see?